On January 1st, 2017, Governor Cooper appointed Charlie Perusse to his second stint as State Budget Director. Charlie, a 24-year state employee, returns to the Governor's Budget Office after six years serving as the Senior Vice President and Chief Operating Officer of the University of North Carolina System. In Charlie's earlier work with the Budget Office, he served as State Budget Director for three years and Deputy Director for six years. 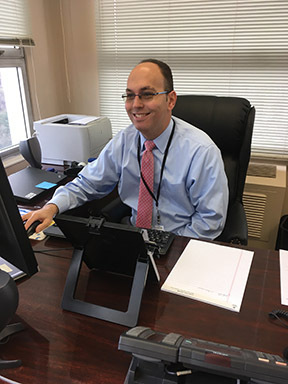 He also spent eight years in the General Assembly's Fiscal Research Division, serving three years as budget coordinator for the House of Representatives. Charlie received a Master's degree in Public Administration from the University of North Carolina at Chapel Hill, and a Bachelor of Arts degree in Political Science from North Carolina State University. He lives in Raleigh with his wife, Wendy, and two young sons.